A media strategy is basically the core of advertising, where all the elements of an ad campaign converge and integrate. This is based on the amount of information that has to be compiled and analysed before decisions regarding the creative concept can be taken. On the other hand, a creative concept is an overall “Big Idea” that captures audience interest, influences their emotional response and inspires them to take action. It is an in-depth theme that can be used across all campaign messages, calls to action, communication channels and audiences. It is imperative to know factors like how much you should ideally spend on the campaign, what the return on investment is, and which channels will best payout. One of the biggest factors for marketing failure is the lack of ability to match the correct budget to the goals or getting the right plan. The budget and timing are crucial as they give an idea of the depth of work, and determine whether or not a brand achieves the necessary media reports within that time period. It is imperative to know both mass communication and marketing. It makes it easier to selectively choose deals with a portion of the budget allocated towards advertising costs for placing. Also, the marketing objective determines by what percentage the ad campaign has to grow within a certain period of time. In addition, it is essential to define the target audience and participant communities, which is part of the media strategy, because very often, an ad campaign that has been designed for everyone ends up being for no one in particular. The more an ad includes criteria like catching of interest, relevance, credibility, and continuity the more it will be successful. It is also important to consider consumer benefits, the reason why and the tonality of teasing words in campaign slogans, and these are discovered through the media strategy. Content Is Still Very Much King, But Which Kind Of Content? Content needs to take many forms in a multi-platform digital landscape. A media strategy could include a long-form video series; custom sponsored programming, short-form video pre-rolls, interactive creative, mobile apps and curated branded content, alongside the more traditional ad units- television, radio, and print. Each media form brings a different mix of engagement, the ability for it to be shared, and branding. A creative brief that starts with the more predictable advertising units will likely prohibit the progress of innovation. This is an issue when research suggests that more and more of consumers’ brand decisions are being influenced by sources beyond advertising, hence it is more sensible to develop the media plan first, then determine what mix of creative needs to be developed. Creative ideas can be presented once the media plan is in place. Relevance is one of the most important aspects of communications. Smart, tactical use of custom messages in different media at relevant times, locations and environments is what creates engagement. The relative importance of different media helps to judge the potential campaign concepts better. Knowing whether outdoor, print or broadcast advertising is going to be the principal channel that helps with deciding on which idea to go with. The creative concept development process is based on research, supported by a strong understanding of the situation, the audience, the communication channels that will be used, as well as the objectives and goals. These factors are drawn from the media strategy, therefore without having established a media strategy first, it would be problematic if not impossible to develop a creative concept. 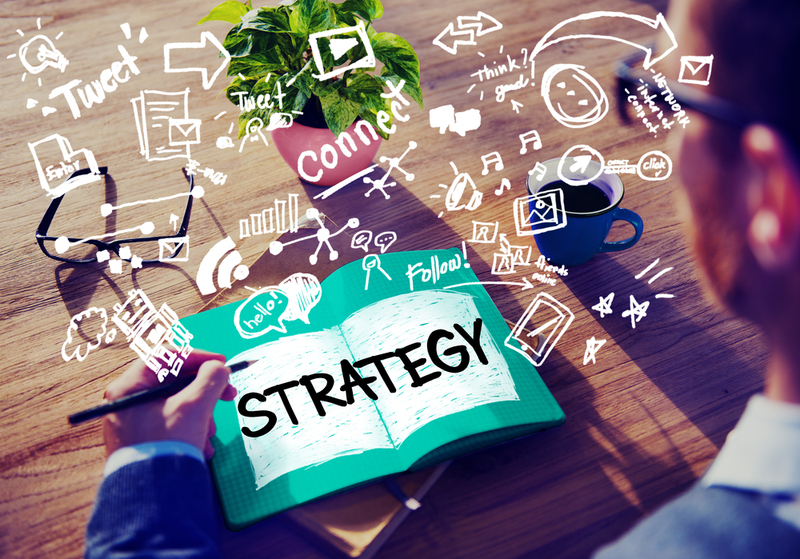 Research and strategy development is the foundation of almost every great campaign. It ensures that the goals, the situation, the challenges and opportunities, the strengths and weaknesses, the competition and the target audiences are understood before the actual creative idea has been conceptualized. In order to be able to come up with a creative concept for an advertising campaign, the problem has to be known in order for it to be solved, and that problem remains unknown until a media strategy has been developed. There is no point in having a great placement if the creative is wrong. What you ultimately want is the synergy between the media strategy and creative, they have to work together because if the wrong message has been put out there which fails to engage the audience and as a result, the campaign is irrelevant. In a nutshell, the right strategy needs to be formulated before the right message has been developed. Nothing matters if the creative work doesn’t connect the consumer and the brand. It is impossible to develop creative without knowing where it’s going, the idea must adapt to fit the medium that activates it.